The Tokyo Metropolis is one of Japan’s 47 prefectures and has been the nation’s capital since the late 1860s. Data from 2016 show that over 13,6 million people lived within the metropolis, and if we look at the greater metropolitan area, the number of residents exceeded 38,3 million. This makes the Greater Tokyo Area one of the most populous metropolitan areas in the whole world. It is also an extremely important financial and economical hub, with very few countries in the world having an economy that’s larger than that of the Greater Tokyo Area. Tokyo is the seat of both the Japanese government, the National Diet (Japan’s bicameral legislature), and the Japanese Emperor. It became the nation’s capital in the late 1860s when Emperor Meiji moved his seat from the old capital Kyoto to Edo, and gave Edo the new name Tokyo. Tokyo is situated both on the Honshu mainland and on several much smaller islands. The mainland part of Tokyo is found north-west of Tokyo Bay, and is roughly 90 km in the east-west direction and 25 km from north to south. It borders to the Saitama Prefecture in the north, Kanagawa to the south, Yamanashi to the west, and Chiba to the east. The eastern part of mainland Tokyo is divided into special wards, while the western part is made up the Tama area. The Izu Islands and the Ogasawra Islands are all considered parts of the Tokyo Metropolis, even though the Ogasaware archipelago is located some 1,000 km south of mainland Tokyo. The Tokyo Metropolis consists of 23 special wards, 26 cities, five towns, and eight villages. The 23 special wards are the ones that until 1943 constituted the city of Tokyo. Today, each special ward is a self-governing municipality with its own mayor and council. Each of the cities, towns and villages also have their own local governments. Issues that concern the whole Tokyo Metropolis are administered by the Tokyo Metropolitan Government, which is headed by a publicly elected governor and metropolitan assembly. The 7.9 Mw Great Kanto Earthquake of 1923 and the ensuing conflagrations. The extensive firebombing carried out by the United States Army Air Forces during World War II. Both times, major areas of Tokyo were left in ruins and had to be rebuilt. Because of this, Tokyo’s urban landscape is notably modern, with most buildings being from post-WWII. Tokyo Tower, designed by Tachū Naitō and completed in 1958. The Asahi Beer Hall, designed by French designer Philippe Starck and completed in 1989. The International Forum, designed by Uruguayan architect Rafael Viñoly and completed in 1996. Mode Gakuen Cocoon Tower, designed by Tange Associates and completed in 2008. Tokyo Skytree, designed by Nikken Sekkei and completed in 2012. 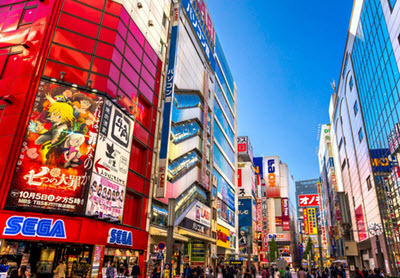 Tokyo is a major tourist destination, visited by millions of foreigners each year. 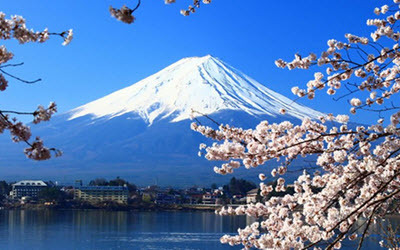 As the capital of Japan, it is also the recipient of a lot of domestic tourism, where residents from other parts of the country travel to Tokyo to enjoy the big city. For many visitors, areas packed with shopping, entertainment and cultural facilities are the main draws. Shibuya and Harajuku are two districts strongly associated with contemporary Japanese pop culture, while those interested in something distinctly older can pay a visit to Tokyo National Museum in Uneo Park,Taitō. This museum holds over 110,000 works of art and archaeological artefacts; most of them Japanese but some hailing from other parts of Asia. Another popular tourist stop is the Tsukiji Fish Market – the largest fish and seafood market in the whole world. At the time of writing, this enormous market is in the process of moving to new facilities in Tokyo Bay, where the new market will be known as Toyoso Market. Two buildings have been created here for fish and seafood, plus a third one for fruits and vegetables. For visitors, a special viewing deck is available on the second floor, making it easier to observe the market. The new Toyoso Market also includes a lot of restaurants focused on produce from the market. Chichibu Tama Kai National Park, which also reaches into the prefectures Yamanashi and Saitama. The Fuji-Hakone-Izu National Park. Rather than being a specific spot, this park is a collection of dispersed protected sites within a large region.